The soon-to-be-constructed gardens on the St. Pauli Bunker are only the latest effort in a long list of ambitious green roof projects in Hamburg. In fact, Hamburg takes on a leading role among major German and European cities: no less than 70% of all suitable rooftops are to be topped with vegetation in 2019. The City of Hamburg began to implement its policy on green roofs already in 2015, when the Hamburg Ministry for Urban Development and Environment allocated 3 million euros to encourage green roof construction on both new and renovated buildings in Hamburg. The green roof project, along with other eco-friendly construction measures, is meant to help the city adjust to population growth and climate change. 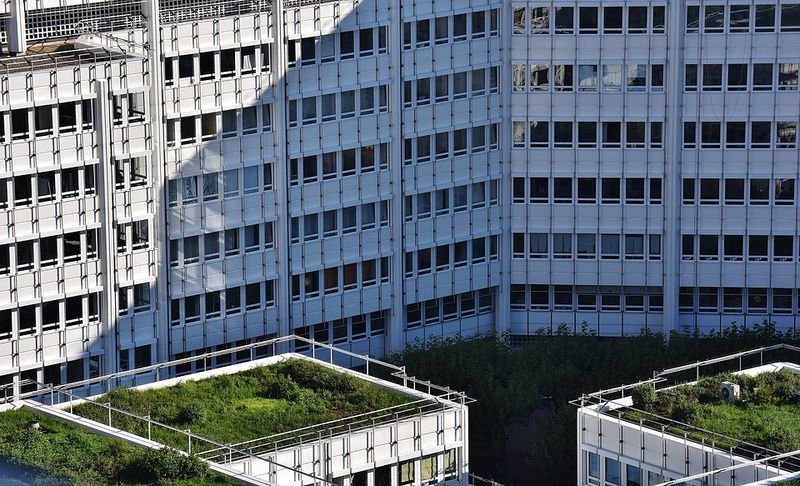 To this end, green roofing measures for residential and non-residential buildings are subsidised with up to 50,000 euros via the Hamburg IFB bank. You can apply for the funds if you voluntarily plan to install at least 20 sqm of green roofing with a soil layer of at least 8 cm in depth. Apply to the IFB before commissioning your building project, as subsequent funding won’t be granted. There are plenty of reasons for green roofs in urban spaces. First and foremost, the city’s appearance and quality of life improve significantly. Tenants and employees are provided with additional green areas for sports and leisure activities. The rooftop gardens protect homes or offices from snow, rain and heat, and contribute strongly to energy efficiency by delivering a natural building envelope. Costs for sewers and retention reservoirs are reduced and fewer rainwater drainage fees will save you extra money. The local flora and fauna profit from a larger habitat and, last but not least, there is the option to combine green roofing with photovoltaic or solar thermal systems.